Yep. The time is drawing near. Of course I haven’t written in awhile because this is supposed to be a running blog and I haven’t been running much at all. I did sign up for a training program put together by my high school coach (for after the baby is born and I’m cleared to run). I had already signed up for a half marathon here in Albany this fall, so I think it will be just what I need to get myself motivated again. I’ve been perfectly happy coaching myself for awhile, but I remember how I felt trying to start up running after Emma was born and it was HARD. If it all goes well, and I don’t get kicked out or something, I may continue with it for my Boston training. But… I am getting ahead of myself. So, honestly I’m not feeling great lately because my stomach has shrunk to a very small size (not my belly, my actual stomach… where the food is supposed to go). 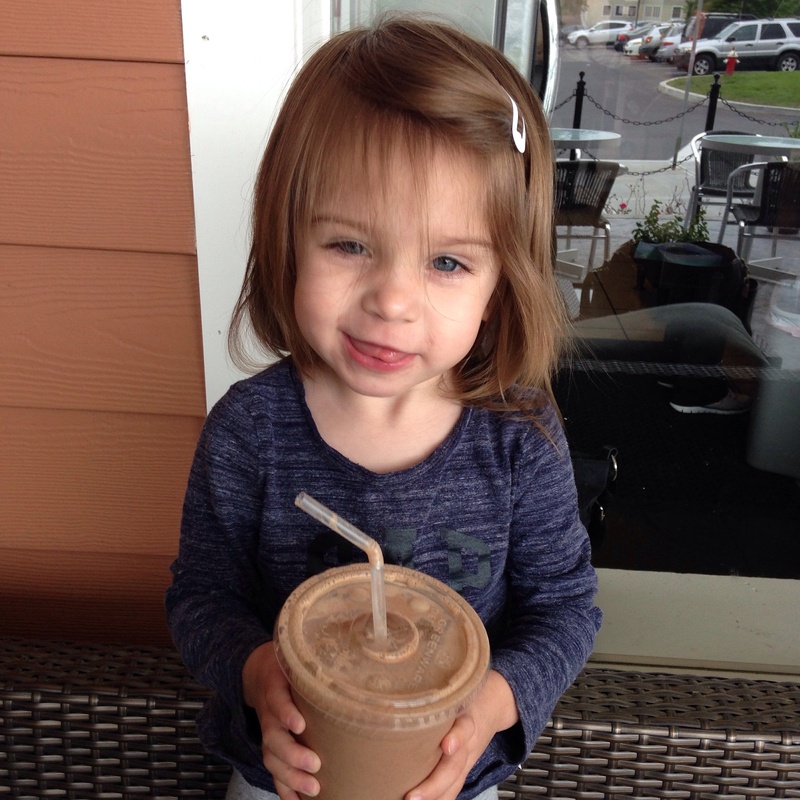 I was up all last night feeling sick, so Emmaline and I took a trip to get smoothies this afternoon at a yoga studio/juice bar nearby called All Good Things (which is where the photo above was taken). I think that seems to have helped for now, but I know I’m probably not going to feel 100% again for a few weeks. So, until then I’ll be laying low and snuggling with my little cutie pie (and watching a lot of Pixar movies in the afternoons). If anyone wants to bring me a smoothie, I won’t turn you down. At the end of my last pregnancy, I got hooked on Milkshakes from Chik Fil A, so you are doing much better than I did! Take care Mollie- enjoy these last few “quieter” days. We don’t have Chik-Fil-A here, Nicole! That’s one of the things I miss from Virginia… thank you! Yay! Sorry you’ll be waiting for me at the finish for awhile this year! Mollie, I’ve enjoyed following your blog recently and Wish you all the best with the remainder of your pregnancy and delivery. Be Safe, and filled with Joy! I was just thinking about you wondering how it was going. I’m glad to hear pretty well though. It’s so awesome that you are going to the OK 5k. I’ve been drinking a ton of smoothies lately as well…I’m never a smoothie person ha ha.